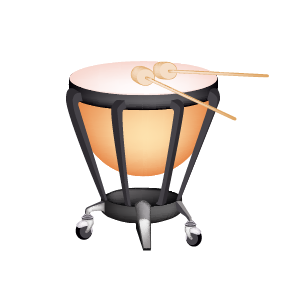 Percussion instruments require a musician to hit them with mallets, sticks, or their hands in order to make sound. The piano has a keyboard with 88 keys. 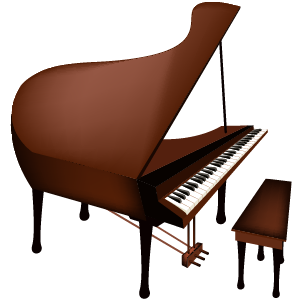 When a key is pressed, a tiny hammer within the piano moves and hits a string, which creates a sound. 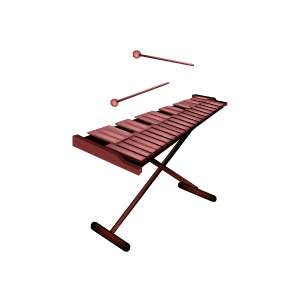 The xylophone is played by striking its wooden bars with a mallet. The vibration of the wooden bar against a metal tube underneath the xylophone creates the sound! Cymbals are round, metal objects that create sound when musicians hits them together or strike them with a mallet. Different sized cymbals create different sounds. 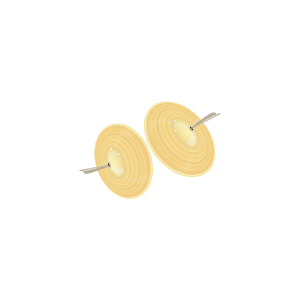 The snare drum has two drumheads: one on top, and one on the bottom. The snare is a set of wires that sit across the bottom drumhead and rattle when the musician hits the drum, giving it a loud, crisp tone. 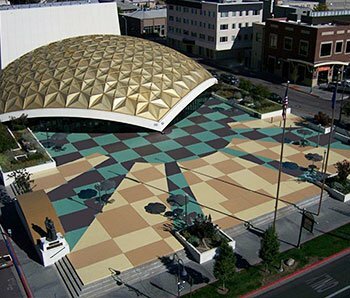 Timpani look like giant bowls, with large metal bottoms and drumheads stretched over the top. 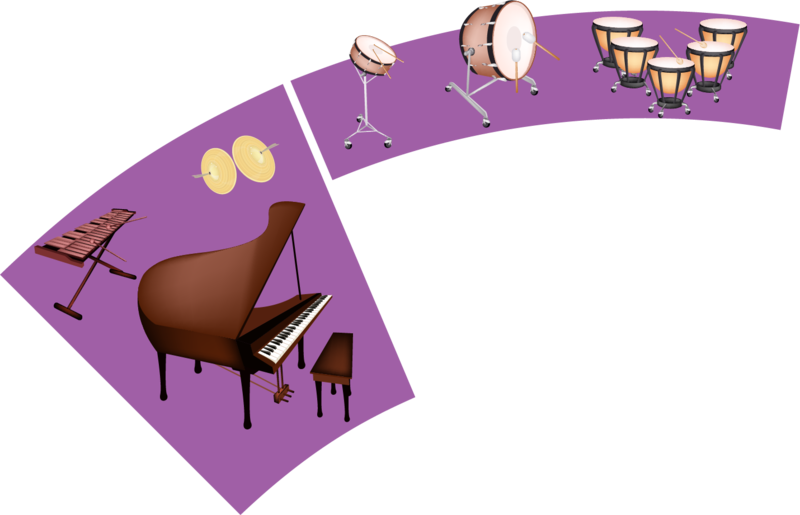 The timpani can create different notes when the musician stretches or loosens the drumheads, usually by stepping on a pedal. 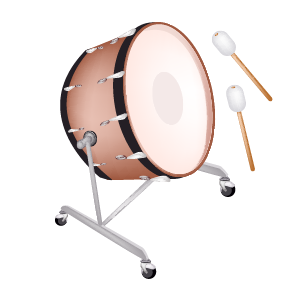 The bass drum is the biggest drum in the percussion family. It is similar in shape to a snare drum, but does not have a snare and sits on its side. 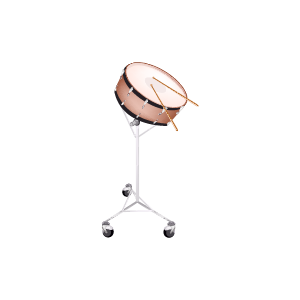 It plays the lowest tone in the percussion family.